The first step is to open the modultaor box, then de-solder the power and the video signal from the board and bend them up and out the way, as pictured below. Use the solder wick to clean up the old solder on the underside of the board where video signal connection is. Now fit the capacitor. 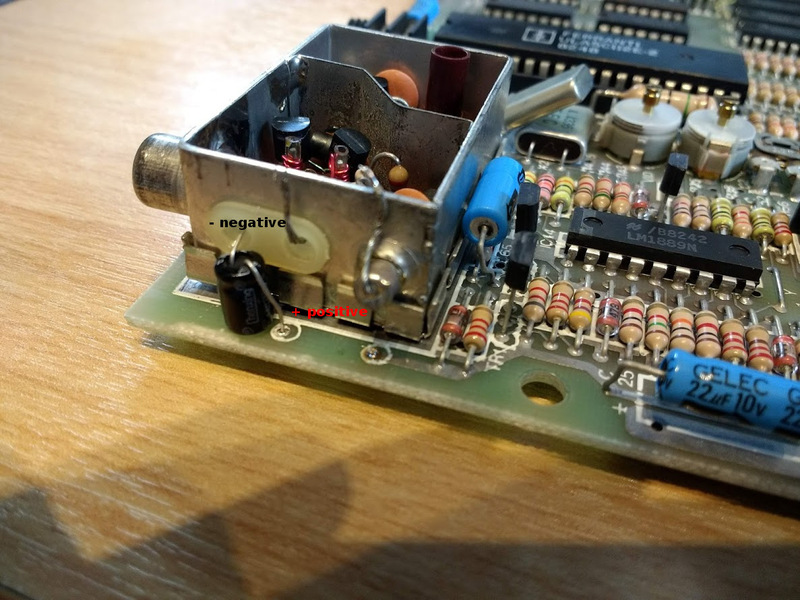 Positive needs to be soldered to the board at video connection (see picture) and the negative can be fed though the spare insulated hole on the rf modulator and soldered directly to the centre pin of video socket. I just reheated the existing solder on the pin to connect and left the existing resister there. Pictured below. The best thing about this mod, is that it is very easy to reverse. After a few lines of basic (still got it!!!) 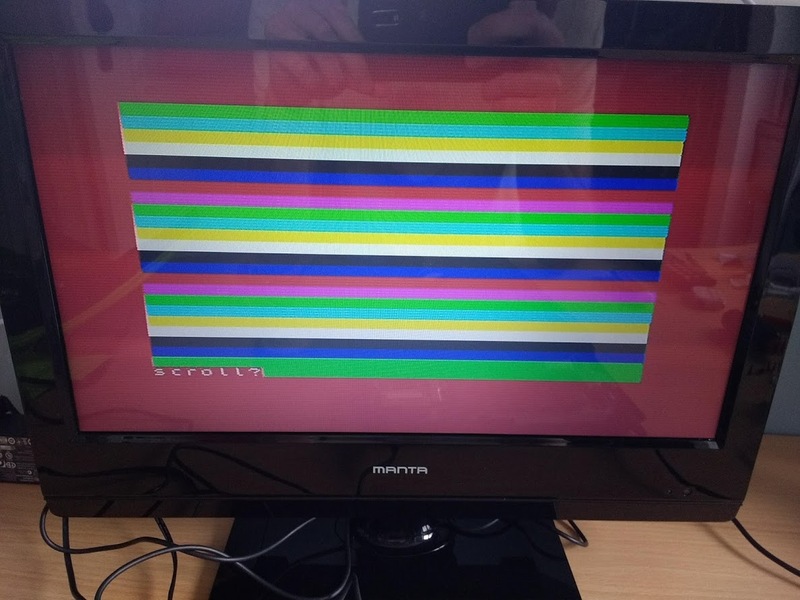 to display all the colours, I ended up with a picture like this. Reminds me of my Sam Coupe boot screen! 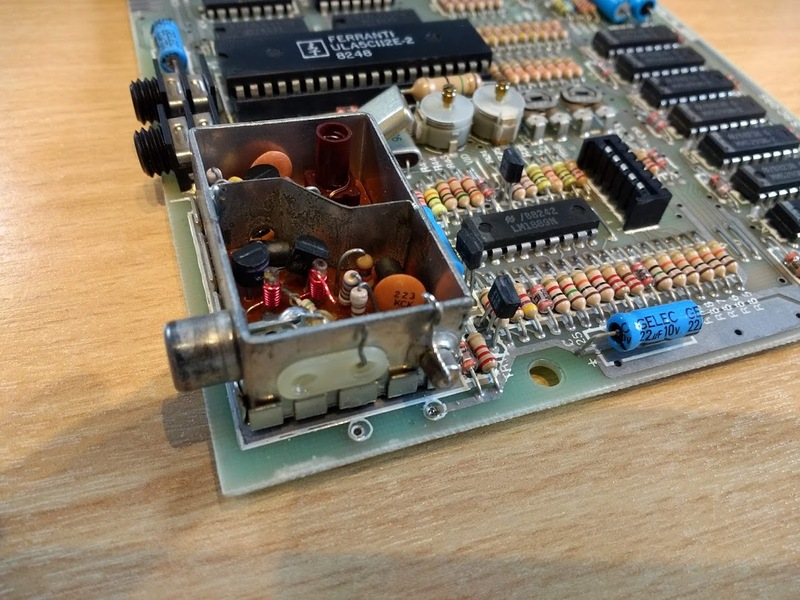 I guess the next thing to do is replace all the capacitors and do the DC-DC mod as it's an issue 2 board, but that's for another day. I hope this entry will be of help to others. I expect my next post (quite excited!) 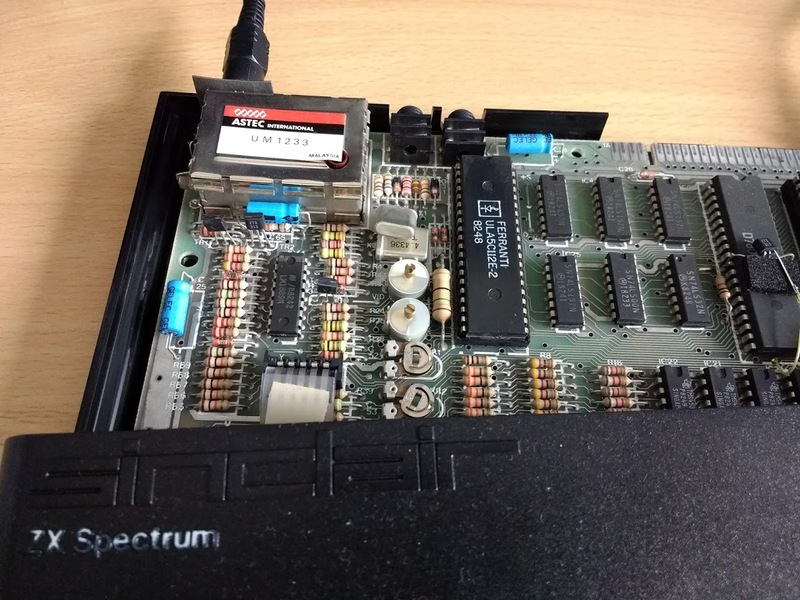 will be about my ZX Spectrum release of Lost Little Spaceman. Bye for now!